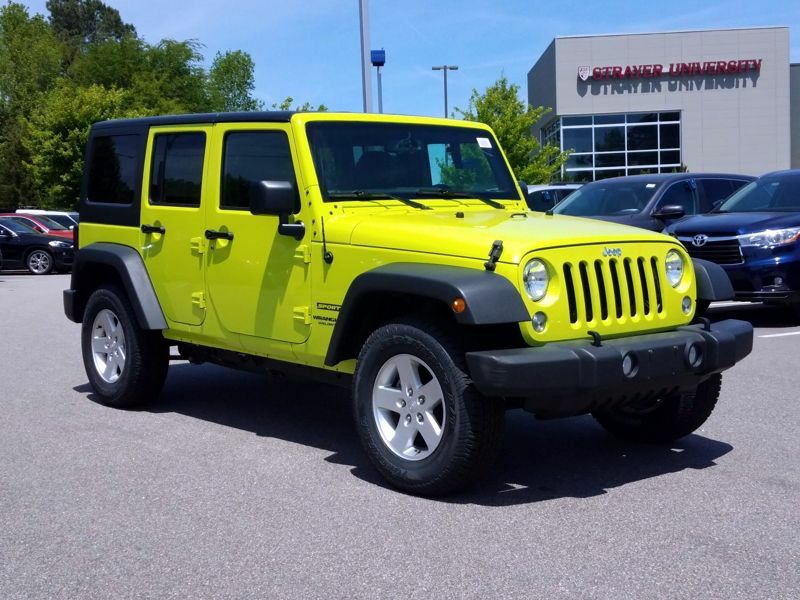 Transmission: Manual 6 Speed Color:Green Interior Color: Average Vehicle Review: (5 reviews) This Wrangler had a brand-new feeling. It was several thousand dollars lower in cost than an actual brand-new Jeep. Jeep Wrangler came with hard top but easily was converted to a convertible with after-market soft top for the summer. Great snow vehicle and great summer vehicle.